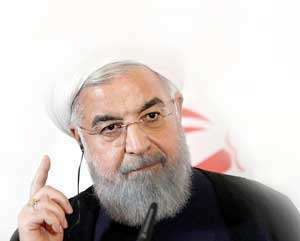 The US reimposed sanctions on Iran early Tuesday as Washington sought to increase pressure on Tehran after unilaterally pulling out of a globally-agreed nuclear deal reached in 2015. The first set of sanctions target the Iranian financial system, including Iranian Government purchases of US dollars, gold trade and government bond sales. Further measures against the Central Bank are expected in three months. Increasingly, the US is focusing on Tehran’s regional role in the Middle East, though that was never part of 2015’s multilateral nuclear agreement. There has been no evidence Iran violated that deal. The auto sector and the exports of carpets and foodstuffs will also be affected by the sanctions, as will Iranian imports of graphite, aluminium, steel, coal and some software. Iran will also be banned from buying certain aircraft. However, Trump has struggled to build a global coalition for his latest efforts as many of Washington’s partners - including European allies - continue to support the agreement, known as the JCPOA, and do not see signs Iran violated its terms.